I've been busy reading and running back and forth to Boston. Now that the driving back and forth (5+ hours each way, depending on traffic - and we ran into a lot of traffic on this last trip!) is over, I have many things to catch up on at 'home'. I say 'home' because Philadelphia will never feel as much like 'home' as New England feels like 'home'. I've had the house to clean, after a month of neglect, and tons of small things to do that could wait until our vacation was over. I was FORCED to go to Commonwealth Books to look for something to read. I looked for Jamaica Inn, which Katrina and I plan to read together in June, but no luck. I had a copy in Philly, but I thought if I could find a copy in Boston, I'd get a little head start. 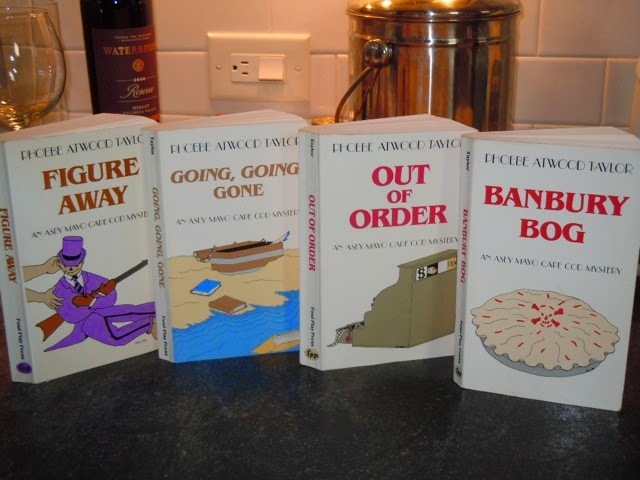 However, I found four more Phoebe Atwood Taylor Asey Mayo mysteries! I found nine over the course of our vacation in Boston, a real treasure. But I learned my lesson about relying solely on my Kindle! I felt very anxious without a book. On Saturday, we met our friend Jenny, our ex-veterinarian, on Cape Cod. 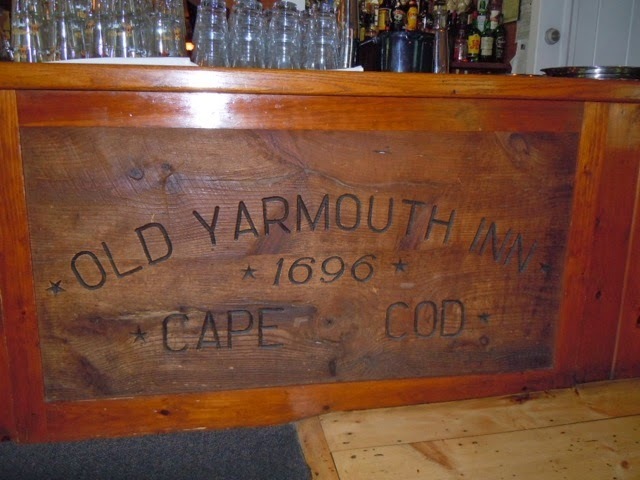 We had lunch at the Old Yarmouth Inn and then she and I walked across the street to Parnassus used book store while Jack napped in the car. 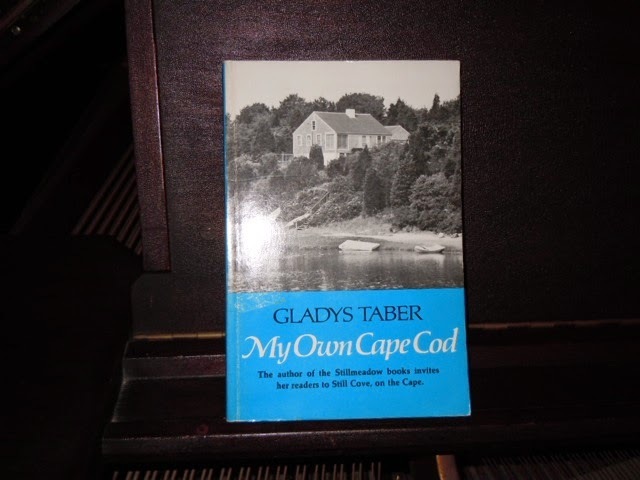 I bought a Gladys Taber book I didn't own, My Own Cape Cod, and Jenny bought a copy of Ferdinand the Bull for her grandson. Then the three of us walked up the street to the Edward Gorey House Museum. I had my camera with me, but, as usual, I forgot to take pictures! The house is a lovely, typical, old Cape house. The downstairs is the only part open to the public, but there's so much to see there that it was enough for us. Gorey was one of the most imaginative and creative people I can think of. I wish I'd known him. He adored cats and reading and smooth, round stones and the ballet and toy mice (maybe for his cats) and too many other things to list. 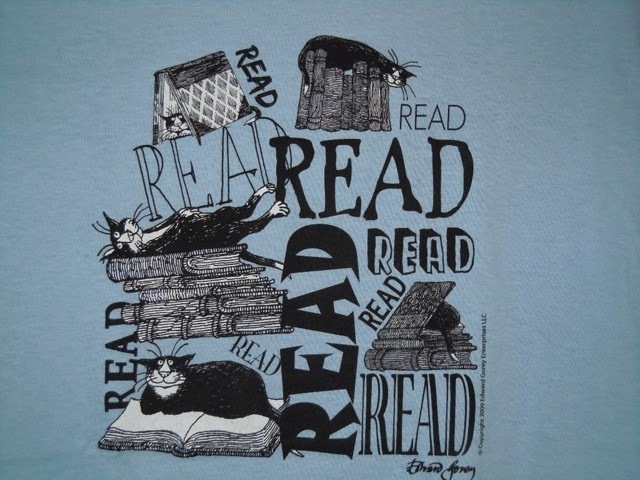 I bought a T-shirt with books, the word 'Read' all over it, and cats lazing on all the books. 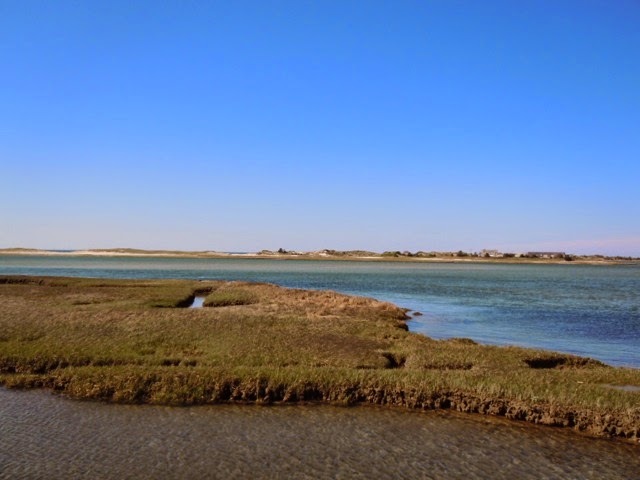 The docent at the Gorey House suggested that we might like to drive to Gray's Beach, one of the loveliest on the Cape. Jenny had to get back to take care of her dogs, so Jack and I went to take a look. It was a marsh on an inlet rather than a ripping, crashing wave, ocean beach. But it had a long boardwalk across the marsh. 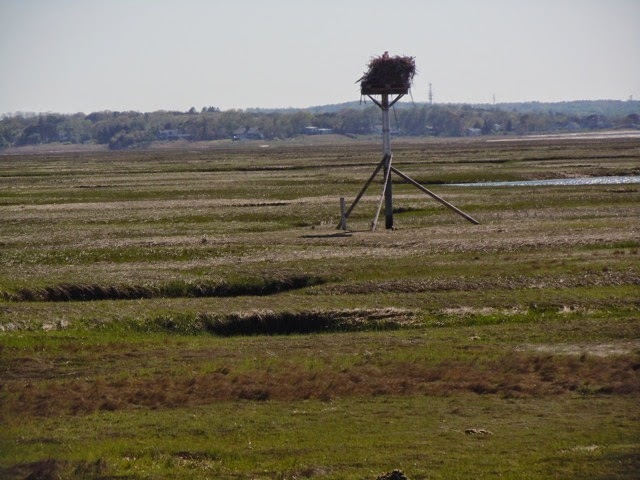 We saw an osprey nest and there was an osprey on it! If you look closely at the photo, I hope you can see it. The sea air was refreshing and reminded us of one of the things we miss about living inland. We felt healthy breathing the salt air instead of the gritty stuff that passes for air in Philly. And now we're back in Philadelphia. We had a wonderful month in New England and hope to go back next fall. The condo we rent for a month at a time is now like a home away from home. Turtle, our cat, is still not sure that we won't be packing up and leaving her this weekend. I've assured her that we're here for the next four or five months, but I don't think she believes me. It's hard to read or use my lap top with a large, insecure grey cat on my lap! Jack and I have been spending weekends in Boston for the last few weeks. 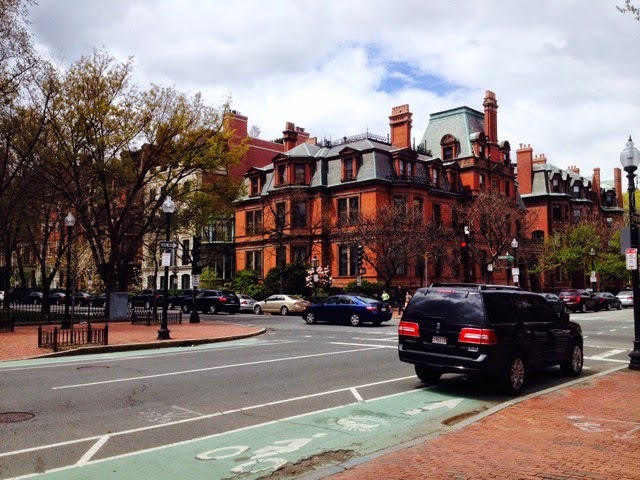 We rented a condo on Beacon Hill for a month, near where we used to live. We rented the same condo last fall and had a terrific time. Because we're self-employed, we can't just go away for a month. But we did manage to spend nine days there, plus those long weekends. It's more comfortable and cheaper than a hotel. This will be our last weekend there for this trip. We miss New England so much, but my three nieces and their families live much closer to Philadelphia than to Boston. If I were wealthy, I'd have houses / condos in both locations, but I'm not. So, this will have to do for now (but I still play the lottery and hope!). It's nice to have a home away from home. Eating out is expensive and because I'm a vegetarian all the time and a vegan 99% of the time, it's sometimes hard for me to find good, satisfying food in restaurants. 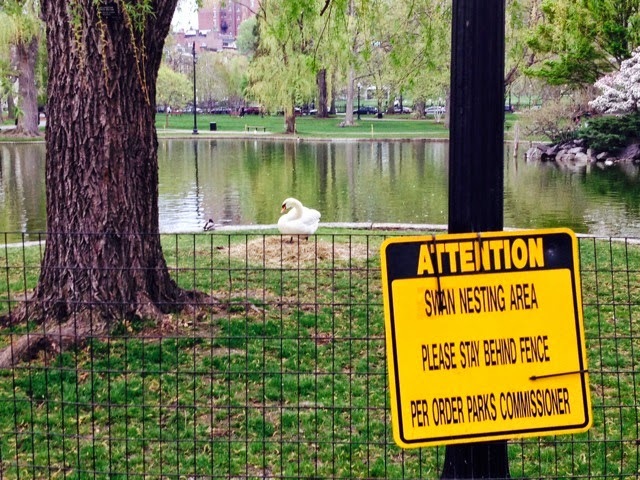 My husband doesn't eat much flesh, but even he won't eat in restaurants that serve foie gras (diseased duck or goose liver produced by torturing birds), which, sadly, seems to show up on too many menus in Boston and Philadelphia. So, in the condo, we can cook what we like to eat. 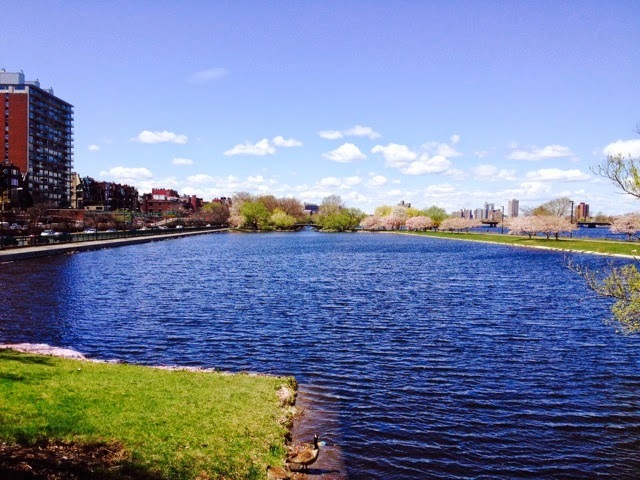 We get to see friends we haven't seen for months or years, we walk or take the T (the subway) all over the city, we visit the magnificent Museum of Fine Arts, the Harvard museums, the Gardner Museum, and we enjoy the sea air. 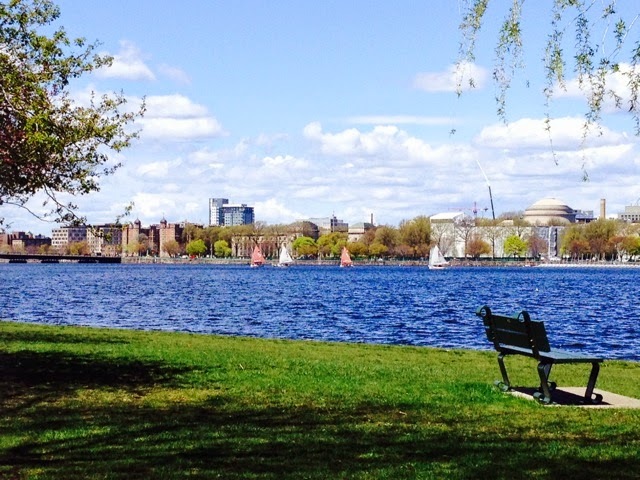 We love almost everything about Boston. There are two wonderful used book stores near the condo. Commonwealth Books has two stores within blocks of each other. 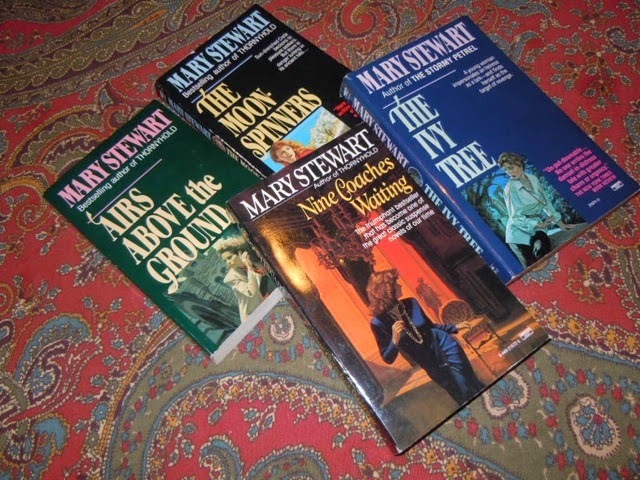 I bought an Angela Thirkell book (County Chronicle), four Mary Stewart paperbacks (that look like they've never been read) for a dollar each, and a handful of Phoebe Atwood Taylor's Asey Mayo mysteries in those atmospheric newish paperback editions. I won't mention the other well-known used book store where I bought many, many interesting and fine books back in the 1980's because it's not what it used to be. What a disappointment. 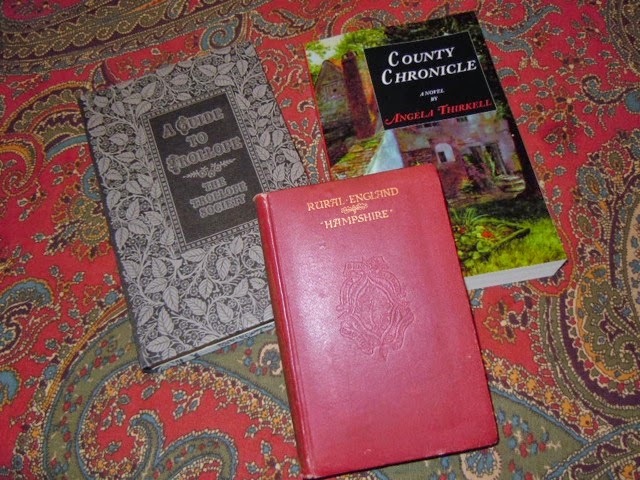 But I did buy two books there: a Trollope Society guide to Trollope and a nice little 1901 travel book about Hampshire, England, with intact pull-out maps. I love these old travel books. There's a wonderful pen store in Boston, Bromfield Pen Shop, also close to the condo we rented. I love fountain pens, ink, notebooks, etc. 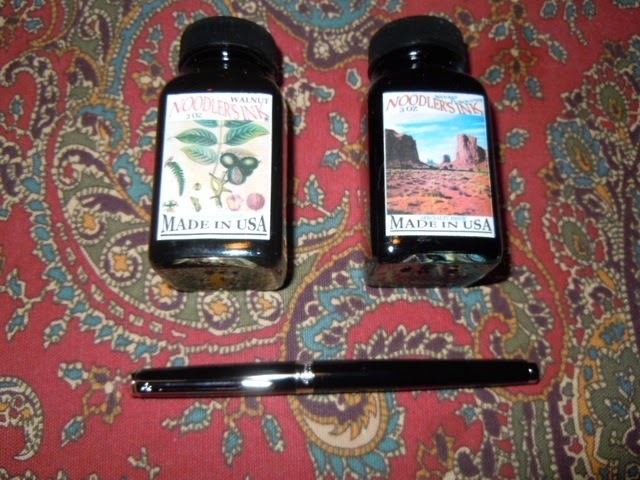 Jack bought me a black Waterman pen there for Mother's Day and two bottles of Noodler's ink: Walnut and Navajo Turquoise. 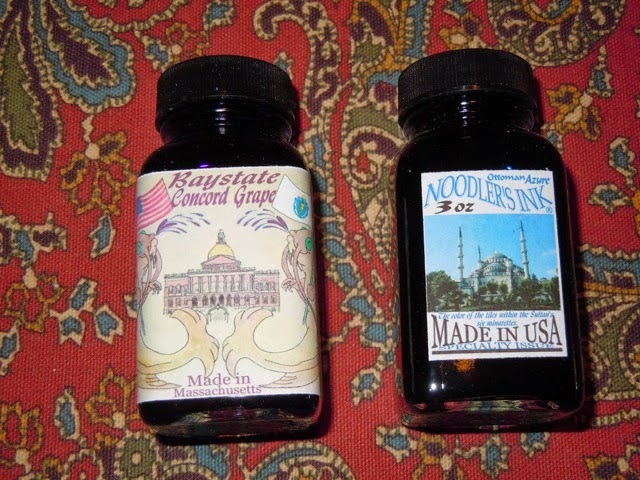 They have such beautiful colors and lovely bottle labels. I need a different pen for each gorgeous color! My journal is starting to look like a rainbow! 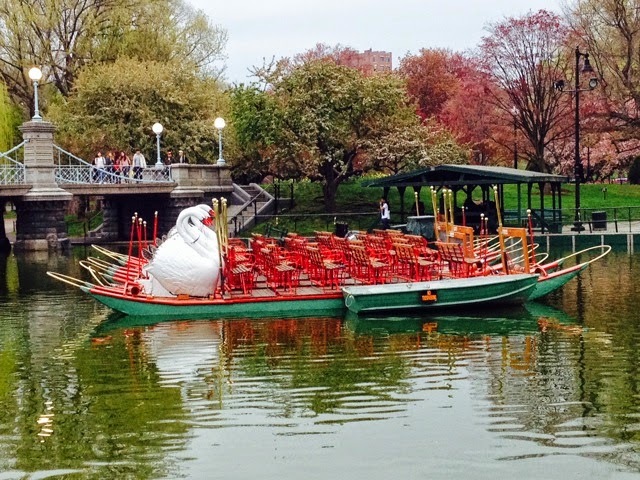 I'll post more photos of our trip to Boston last fall, but I think this is enough for now. Excuse me, but I must go read! I had planned to write more about books, but I've discovered that I don't like reviewing books and I don't like reading detailed reviews. I don't want to know every plot line or character. I want to read the book (or not) and find out for myself. I just finished reading The Smell of the Night by Andrea Camilleri. When I read the first book in this series of detective novels set in Sicily, I wasn't enchanted. But I kept thinking about the book and found myself looking for the others. Inspector Montalbano is a strange guy. He loves good food and never seems to miss a meal. He has a long-distance, long-suffering girlfriend. I'm happy to be an armchair traveller these days, so I love being taken to Sicily. The Count of Monte Cristo has me in its thrall, but it is a long, long, long, long, long book. I've been reading it on my Kindle for months. I don't read it every day. I read it in chunks. I'm a mood and place reader (I only read paperbacks in the bath), so unless I can read a book in a short time, like a day or two, I read several books at a time and jump back and forth between them. The Count of Monte Cristo is full of adventures and excitement, almost on every page. I think I can see where it's going, but I like the trip. I also just finished One Writer's Garden, recommended by another blogger. I'm a former gardener and I enjoy reading gardening narratives. This book is about the garden created by Eudora Welty's mother, Chestina. As Eudora grew, she helped her mother in the garden and took over its care when her mother became unable to. As Eudora aged, she wasn't able to tend the garden either and it fell into disarray. She arranged for her house to be given to the state of Mississippi and a restoration of the garden began. The books is a biography of the garden, of Ms. Welty and her mother, and of the gardening trends of the early to mid 1900s. With lots of gorgeous photographs. 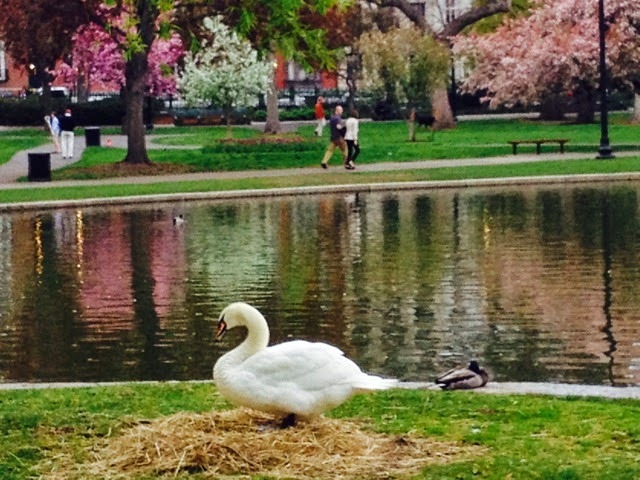 My husband and I are renting a condo in Boston for the month of May. 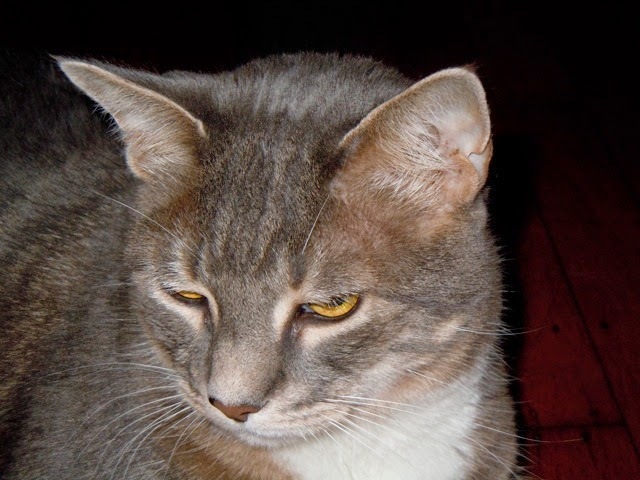 We're running back and forth between Boston and Philadelphia, where we live, because we had to leave our old cat in Philly in the care of a pet / house sitter and because we can't leave our business for an entire month. 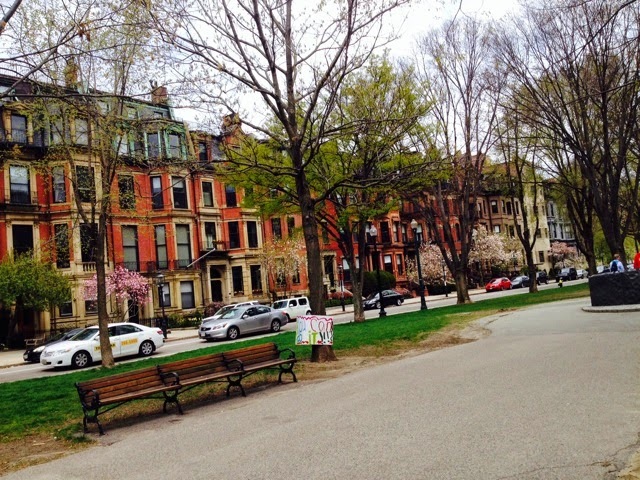 We used to live in Boston and miss it very much. But my family is closer to Philadelphia, so that's where we've chosen to live. While in Boston, I thought it would be fun to read a Boston-based book. So I just finished the second of Dennis Lehane's Kenzie and Gennaro detective books, Darkness, Take My Hand. It's full of actions and evil. 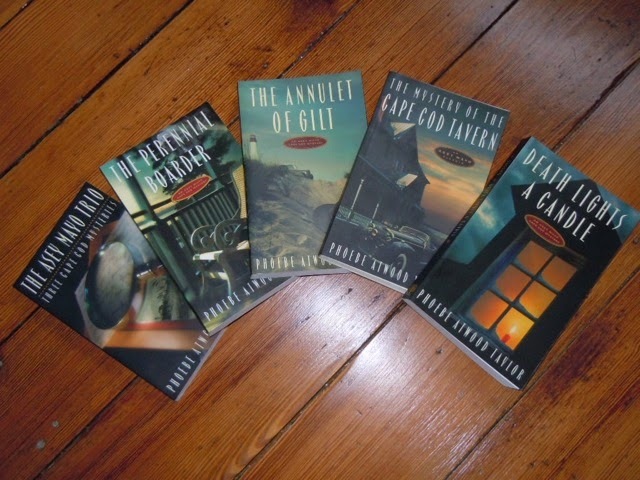 The author grew up in Dorchester, a part of Boston I don't know well, and sets his books there. 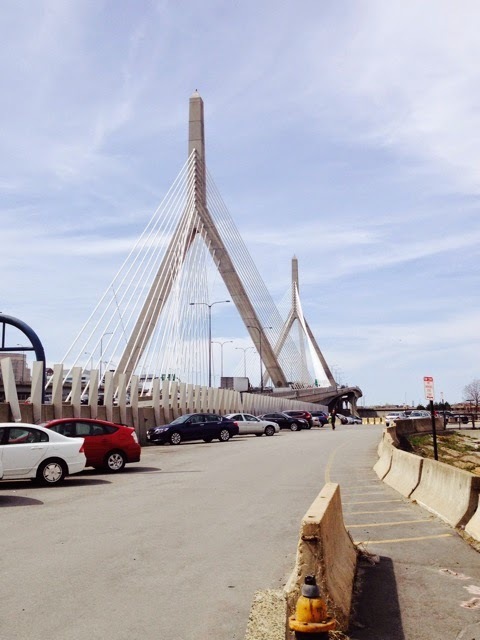 There are forays into the parts of Boston I do know well and that's always fun. I don't particularly like Robert B. Parker's Spencer books, but I love the local detail in them (I know exactly where that ship-shaped restaurant is on Route 1!). There are several other books that are partly read, but I'm writing this in Boston and don't have them in front of me. It seems unfair to tell you that I'm reading a biography of Ngaio Marsh without telling you which one. I'd love to know if you've read any of these books and what you thought of them. If you have any recommendations for me, please share.